Depending on the type of materials used, your home’s shingles can be expensive, so if they fail, it could mean costly repairs. A lifetime shingle warranty can take a bit of the edge off the cost, but only in specific situations. A lifetime shingle warranty is a warranty provided by the manufacturer that’s intended to last for the expected lifetime of the material. This could range from 20 to 50 years, depending on the material. It is intended as a guarantee that the shingles are properly made, and as such, will generally cover the costs of replacing them if they are defective. These warranties won’t cover replacement costs due to other factors such as hail damage or faulty installation. They are intended only for defective shingles, which are actually quite rare. As such, if you have roof problems, the warranty on the shingles themselves won’t likely be the main source of help. Nevertheless, it is nice to have just in case there are manufacturing errors. It generally covers the cost of the materials themselves, which can be handy if you have an expensive material in your roof such as slate. While a lifetime shingle warranty does have some worth, it is obviously not enough. Most of the reasons why roofs fail are because of installation errors, damage from outside factors, and poor ventilation. Preventing these challenges takes skill on the part of the professionals installing your roof. The type of shingles and the risk factors in the surrounding area are taken into consideration. While a lifetime shingle warranty can help, it is no substitute for professional installation. 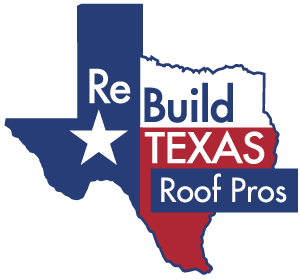 Rebuild Texas Roof Pros provides the sturdy materials and the quality labor you need for a long-lasting roof. To learn more about our services, contact us today.